One of the country’s major exports, New Zealand wine, is acclaimed throughout the world. 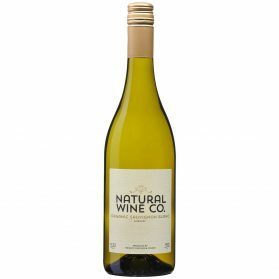 People tend to think of Sauvignon Blanc as the country’s key wine, but New Zealand Chardonnay easily rivals those produced in the Old World. Chardonnay, a grape variety used in the production of one of the world’s most popular white wines, has its origins in Burgundy. 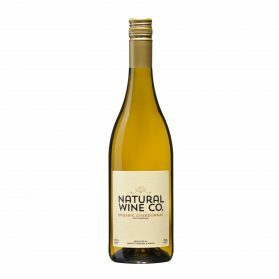 Fortunately for the rest of the world, however, Chardonnay is no longer exclusively produced in France; exceptional Chardonnays can be found all over the world, and are particularly prominent in New Zealand. Chardonnay wine, in its final form, will taste different depending on where it is produced. Made from one of the most diverse grape varieties, Chardonnay’s tasting profile ranges from fruits such as pear and melon in cool regions, to peach and banana in warmer climates, and may contain notes such as hazelnut or spice. Chardonnay may also be aged in oak barrels, which will impart flavours like vanilla to the wine. Like various other white wines, Chardonnay generally pairs well with fish, but each wine is best examined case-by- case when deciding upon a food match as Chardonnay can vary drastically in taste. Some of New Zealand’s best Chardonnays are produced in Gisborne, located in the eastern North Island. Boasting the title of the world’s most easterly wine production region, Gisborne, despite its small size, plays host to over a dozen wineries. The region’s sunny, dry climate has influenced its ability to establish itself as a key player in New Zealand’s wine industry. Gisborne is particularly well known for its production of Chardonnay, and wine-lovers are likely to find the region rich in history as well as peaceful and relaxing to explore. If you’re looking for a special Chardonnay, you’re likely to enjoy exploring Gisborne’s wineries. Those rated highly by visitors include Millton Vineyards & Winery, Bushmere Estate, and Wrights Vineyard and Winery. James Millton and his wife, Annie Millton, whose parents ran a successful vineyard in the late 1960s, established Millton Vineyards & Winery in 1984. 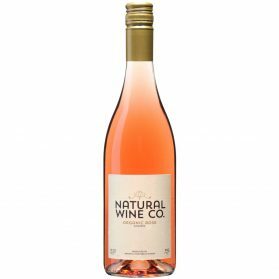 Acquiring knowledge of the trade in vineyards across France and Germany, the couple returned to New Zealand with considerable knowledge about wine, and have successfully run and grown their business together since. The wine tasting sessions at Millton have been praised extensively by visitors, who particularly enjoy the classic charm of the vineyard. Notable Chardonnays produced at Millton include 2015 Crazy by Nature and 2010 Clos de Ste. Anne. Bushmere Estate provides its visitors with exceptional wine tastings and a chance to learn a little about the culture and history of the area. The winery, owned and run by David and Shona Egan, has been a part of the industry for over forty years. It gives its visitors the opportunity to try wines produced from many types of grapes, including Pinot Gris and Gewürztraminer. 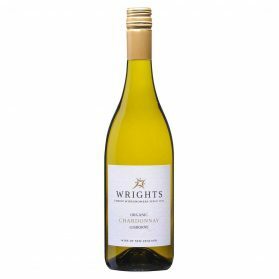 Their speciality, however, is Chardonnay: their 2015 Classic Chardonnay was awarded silver at the 2016 New Zealand International Wine Show and bronze at the 2016 Air New Zealand Wine Awards, while their 2014 Unoaked Chardonnay was given four stars by Sam Kim of Wine Orbit. Wrights Vineyard and Winery is composed of three vineyards in Gisborne, each used to create unique and distinctive wines. Their Terrace Vineyard was set up by owners Geoff and Nicola Wright from their own grapevine cuttings, while the couple took over Valley Vineyard from its previous owners, drawn to its charm and reputation as having been ‘looked after by fairies’. Coast Vineyard welcomes visitors from all over the world and hosts fascinating wine tours – which are best ended with a refreshing glass of the winery’s signature Chardonnay, replete with flavours of vanilla, pear, and lime. 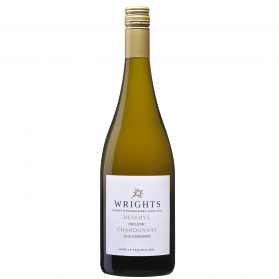 Wrights Vineyard and Winery use a variety of grapes in their process, including Gewürztraminer (their plantings are some of the oldest in Gisborne); Pinot Noir; Pinot Gris; and, of course, Chardonnay – a glass of which is always a good choice at Wrights Vineyard and Winery, attested for by their Wrights Reserve Gisborne Chardonnay 2015 having been awarded a place in New Zealand’s Top 5 Wines by Cuisine. Gisborne Chardonnay has clearly made its mark on New Zealand as well as the rest of the world. The region hosts – and is set to host – a variety of wine events, perhaps the most interesting of these being the upcoming ‘Chardonnay Express’, an event which will take place on Labour Day weekend in October. The Chardonnay Express will allow visitors to take an exciting excursion on Gisborne’s historical Wa165 steam engine train, during which they will be able to sample the region’s Chardonnays and enjoy a special dinner degustation that matches well with them. Gisborne is the place to be for lovers of New Zealand wine, especially those who have a special fondness for Chardonnay. Why not plan a visit today and take advantage of all of the incredible wines – and natural beauty – that the region has to offer?